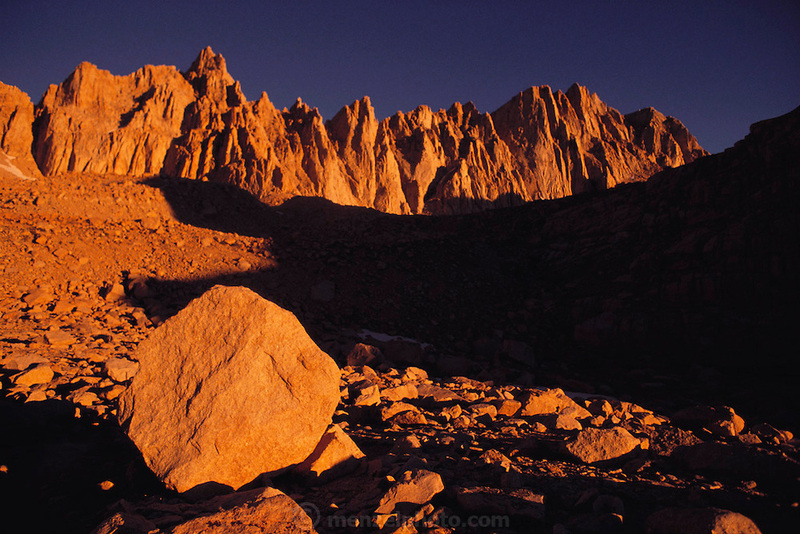 Mount Whitney, at 14,496 feet high, is the tallest mountain in the continental United States. It is one of the most frequently climbed mountains in the US. Route 395: Eastern Sierra Nevada Mountains of California.